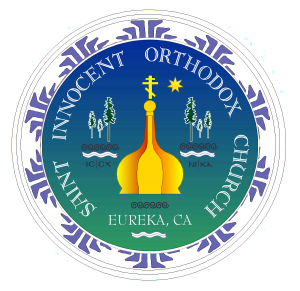 Every year, the people of Eureka look forward to the 4th of July because… they know they will find St Innocent’s Gyro booth on the main street of the event, just down from F street where the church is located. We serve Gyros from 10 AM to 5 PM, and boy do they fly out! Our parish priest also has a table right there by the booth to offer brochures and books and CDs, but mostly to reach out and talk to anyone who would like to talk. If you have any questions about this annual outreach and fundraising event, please call us at 443-2099.